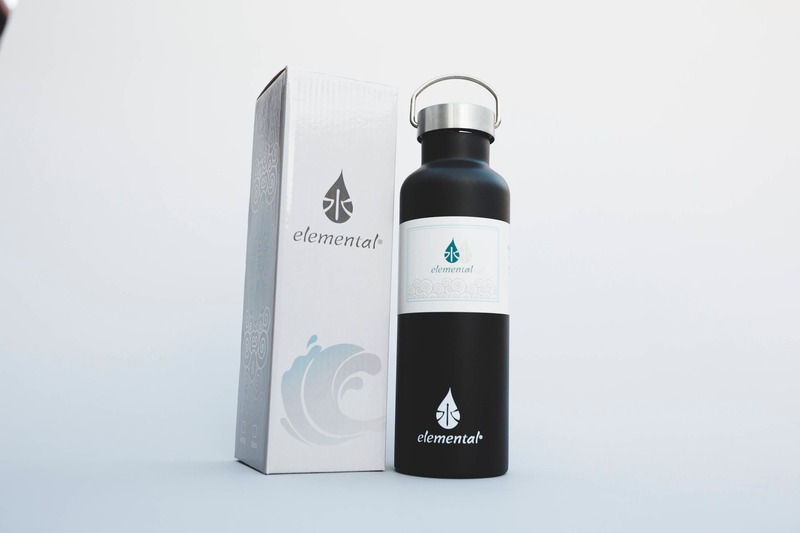 Personalize this double insulated vacuum water bottle with a monogram of your choice. The text will be engraved in the design pictured. 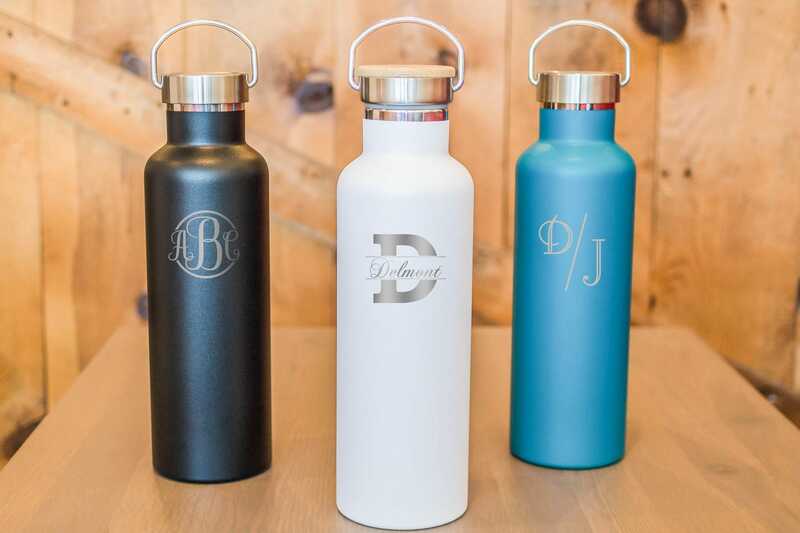 The engraving is permanent and will show a glossy silver finish of the stainless steel underneath the powder coating layer. 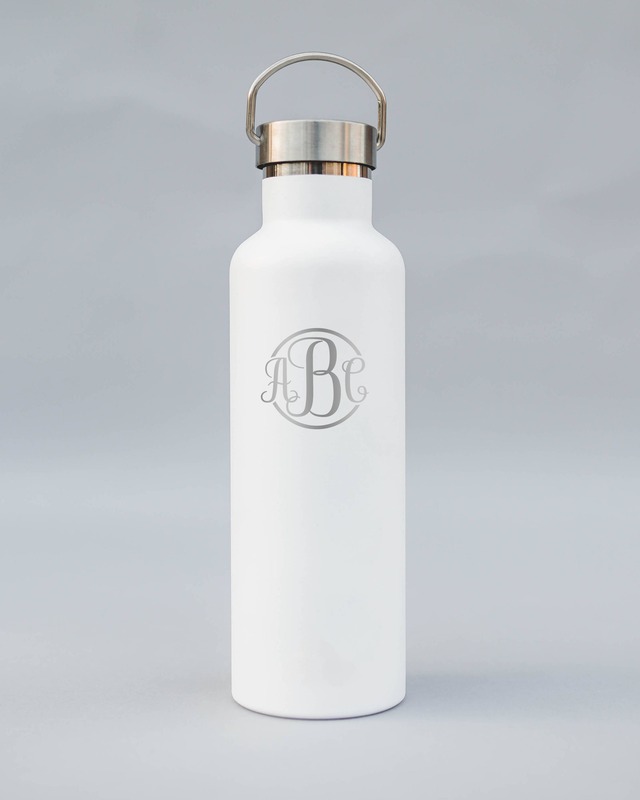 1) Letters for the monogram *Note* Letters will be engraved in the order they are provided. 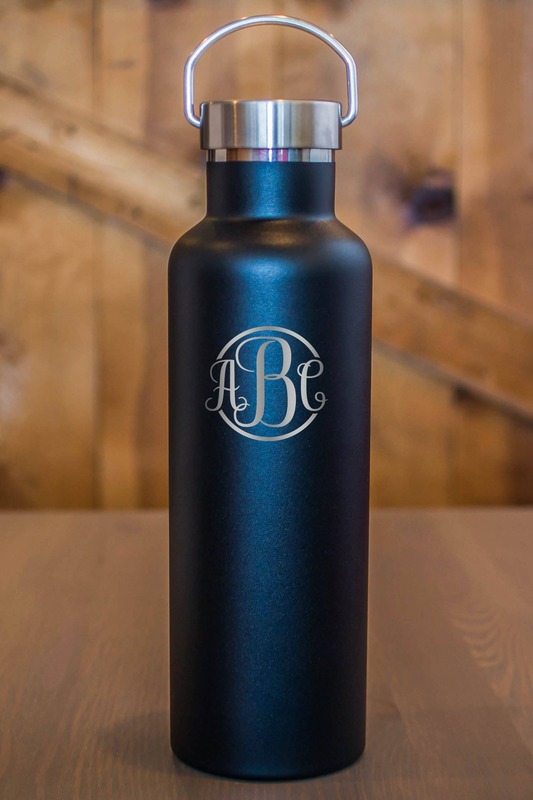 If you submit "ABC" the letter will be engraved in the order "ABC", with B being the largest letter. - It is your responsibility to make sure letters appear in the order you prefer.